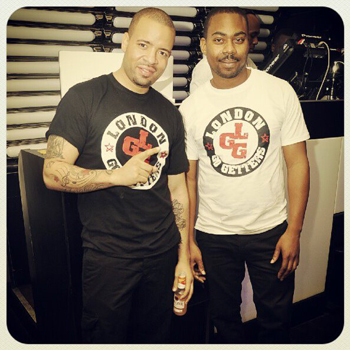 London’s finest DJ duo Colin Aldridge, aka CeeSix and Nathan Lindsay aka DJ Houdini of Blaze It Up Entertainment are the official DJ’s for the third annual Afridiziak Gifts and Occasions Winter Fair. It’s their second year entertaining shoppers and exhibitors and we wanted to find out more about their love of the ones and twos. DJ Houdini: We have been working together for just over 2 years now and before that there was a 3 member. How did the team form? 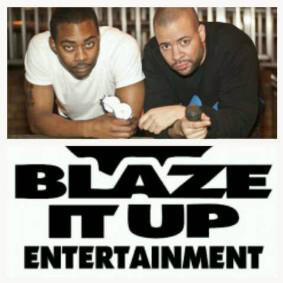 CeeSix: We are friends from school days, so when it was discovered that we had the same love for the music, it was only right to join forces and create Blaze It Up Ent. DJ Houdini: We were friends from secondary school and discovered we had the same passion for music and decided to join forces. CeeSix: I love the Winter Fairs, as much as I enjoy playing the music, I love the atmosphere. I hope to do my full Christmas present shopping at these events. DJ Houdini: The name was kinda given to us via the way we musically entertain our audience. CeeSix: To be honest, we were nameless for a while, but people loved what we did and often told up that we 'Blazed up' the party rave and I guess it stuck from there. When did you both start djing? CeeSix: I started djing from an early age (14) in my house, basically following my dad. DJ Houdini: I started djing from 15 following my other brother's footsteps. DJ Houdini: When we played in Scotland, the crowd we were playing for totally loved us. Can you remember your first gig together? DJ Houdini: The first gig was a private function. CeeSix: When we played in Karbon, Glasgow. We totally won over the Scottish crowd and had them begging for more. Where can we see you next, what events have you got coming up in the future? DJ Houdini: We have a lot of gigs lined up for the remainder of 2012, but we are looking forward to New Years Eve and INC O2, for a night called 'The Secret'. CeeSix: We have some of our own events coming up in 2013, watch out for 'Ragga Ragga Ragga' and 'My Generation'. What are you most looking forward to at this year’s Afridiziak Gifts and Occasions Winter Fair?